Italian banks are screwed; Barclays traders found guilty of Libor rigging; Can SnapChat survive old people? 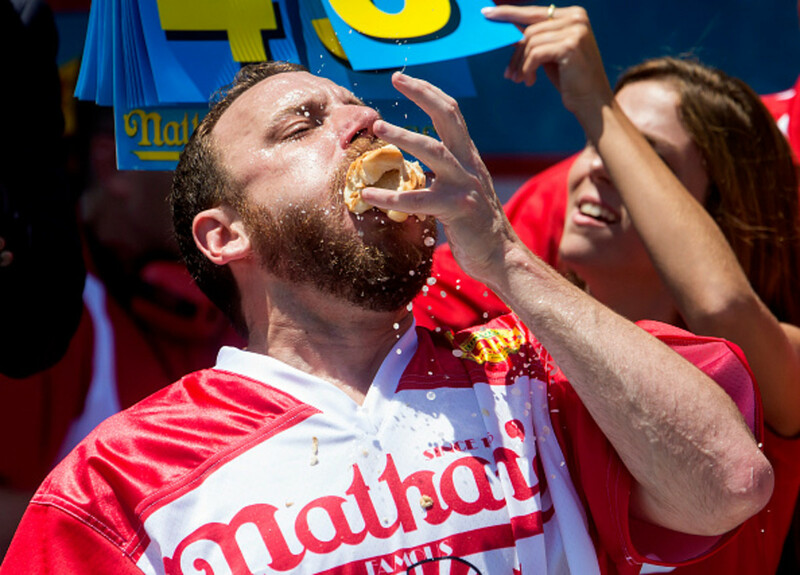 ; Joey Chestnut eats way back to Nathan's hot dog eating title; and more. Britain’s vote to leave the EU has produced dire predictions for the U.K. economy. The damage to the rest of Europe could be more immediate and potentially more serious. Nowhere is the risk concentrated more heavily than in the Italian banking sector. In Italy, 17% of banks’ loans are sour. That is nearly 10 times the level in the U.S., where, even at the worst of the 2008-09 financial crisis, it was only 5%. Among publicly traded banks in the eurozone, Italian lenders account for nearly half of total bad loans. Whether Snapchat can maintain its fanatical teen base, which is popular with advertisers, while at the same time broadening its appeal beyond youth, will have major ramifications for the app, which investors value at $16 billion. It can mean the difference between achieving massive scale like Facebook Inc., the social-network juggernaut that has 1.6 billion users and is valued at $330 billion, or remaining a large niche service like Twitter Inc., a once-formidable rival that has lost three-fourths of its market value as its growth has stagnated. On Twitter, teens now routinely complain about parents joining Snapchat—“Lmao I’m so done my friends parents got snapchat,” tweeted Mr. Zeikos in May. Standard Life Investments suspended trading in its 2.9 billion-pound ($3.9 billion) U.K. Real Estate fund on Monday, the strongest signal yet that the turmoil from the Brexit vote will probably hit the property market. The fund, which invests in a mix of prime commercial real estate assets, was halted at midday and the decision will be reviewed every 28 days, the Edinburgh, Scotland-based fund manager said in a statement. Standard Life adjusted the value of the underlying assets by 5 percent last week. U.K. business confidence dropped and pessimism about the economic outlook almost doubled in the week after Britain voted to leave the European Union, according to a survey. An index published by YouGov Plc and the Centre for Economics and Business Research on Tuesday tumbled to 105 from 112.6 in the three days ended June 23, the referendum date. The survey, which was carried out between June 28 and July 1, also found the proportion of businesses that are pessimistic about the economic outlook climbed to 49 percent from 25 percent. Chestnut, known as "Jaws," scarfed down 70 hot dogs and buns while thousands watched at Nathan&apos;s Famous. The event, marking its 100th anniversary was shown live on ESPN3 and tape-delayed on ESPN. Chestnut, 32, had won eight titles in a row before losing to 24-year-old Matt Stonie, known as "The Megatoad, last year. In 2013, he set the record with 69 hot dogs in 10 minutes. Stonie ate 62 hot dogs last year, two more than Chestnut. They both are San Jose, Calif., residents...Chestnut said Stonie "woke up the sleeping giant" when he beat him out last year. Just over four years since Barclays paid out hundreds of millions of dollars in fines for fixing the benchmark rate, Jonathan Mathew, 35, Jay Merchant, 45, and Alex Pabon, 38, were found guilty of conspiring with other Barclays employees to rig the London interbank offered rate. Global investment banking fees fell by nearly a quarter in the first half of 2016 from a year earlier as market volatility hit capital markets and M&A deal making, Thomson Reuters data published on Monday showed. Global fees for services ranging from merger and acquisitions advisory services to capital markets underwriting fell 23 percent to $37.1 billion at the end of June, the slowest first half for fees since 2012. The price of the digital currency could climb in the event of Trump winning the U.S. presidential election, which some market commentators expect to lead to market turmoil. "If Donald Trump becomes president of the U.S., there is the very real prospect of turmoil on world markets — the Economist Intelligence Unit ranks his presidency within the Top 10 global risks," said Windsor Holden, head of forecasting & consultancy at Juniper Research, in a statement. "However, bitcoin trading would thrive in such an environment, at least until the impact on major fiat currencies becomes clear." Hedge fund platforms in Asia, which traditionally have helped fledgling firms with a few million dollars set up shop, are now seeing bigger managers turn to them to help save as much as 90 percent of their annual operating costs. That’s signaling a fundamental change in the economics of the hedge fund business, as investors are balking at the hefty "2-and-20" fees that were once a fixture in the industry and compliance costs are spiraling higher. Krit McClean was arrested for public lewdness and disorderly conduct, according to the Post. On Thursday, he took off his clothes in Duffy Square around 7 a.m., and, a Gray Line bus tour ticket seller told us, Times Square Alliance workers told him to put his clothes back on. McClean did but then took them off again and eventually went up the red stairs above the TKTS booths on West 47th Street. By 7:40 a.m., the police were on the scene, trying to convince McClean to come down. He spent the next hour and a half dancing, running and squatting, while yelling disparate statements, like asking for Donald Trump or yelling "I love fashion! It’s taught me so much." Yellen signals 2016 hike coming; Bill Gross is 'verklempt' after Fed decision; Australian hot dog and hamburger combination 'hamdog' coming to U.S.; and more. UBS In $1.5 Billion Libor Fine (WSJ) As part of the deal, UBS acknowledged that dozens of its employees were involved in widespread efforts to manipulate the London interbank offered rate, or Libor, as well as other benchmark rates, which together serve as the basis for interest rates on hundreds of trillions of dollars of financial contracts around the world. UBS's unit in Japan, where much of the attempted manipulation took place, pleaded guilty to one U.S. count of fraud. Authorities on Wednesday painted a picture of "routine and widespread" attempts by UBS employees to rig Libor and the euro interbank offered rate, or Euribor. The U.K. Financial Services Authority said it had identified more than 2,000 such attempts between 2005 and 2010 with the participation or awareness of at least 45 UBS traders and executives. Regulators on Wednesday released a trove of internal UBS emails and other communications—many of them colorful and expletive-laden—in which bank traders, sometimes with the knowledge of their managers, sought to manipulate the rates in order to boost their trading profits or mask the Swiss bank's mounting financial problems in 2008. UBS Traders' 'Humongous' Libor-Fixing Boasts (CNBC) The FSA documents suggest a macho trading culture on the UBS trading floor. Trader A also said: "if you keep 6s [i.e. the six month JPY LIBOR rate] unchanged today ... I will ****ing do one humongous deal with you ... Like a 50,000 buck deal." Traders and brokers implicated in the scandal referred to each other as "the three muscateers [sic]" and "captain caos [sic]." SAC's top consumer trader draws scrutiny from U.S. authorities (Reuters) U.S. authorities are examining trading by one of SAC Capital Advisors' most successful portfolio managers, Gabriel Plotkin, as part of a probe into the $14 billion hedge fund firm's investment in Weight Watchers International Inc last year, according to a person familiar with the investigation. Plotkin, a specialist in consumer and retail stocks who makes investment decisions for more than $1.2 billion worth of assets, is among several SAC portfolio managers whose trades are being investigated, said the source, who did not want to be identified. The source would not name the other managers. Federal authorities are trying to determine whether any of SAC Capital's retail and consumer portfolio managers traded Weight Watchers shares based on non-public confidential information about the diet company, said the source and another person familiar with the investigation. The two sources said it is too soon to conclude if there was any insider trading. Authorities have not charged Plotkin with any wrongdoing. Banks See Biggest Returns Since ’03 as Employees Suffer (Bloomberg) Shareholders, impatient for the industry to boost profit, were rewarded as Wall Street firms cut jobs and pay, and exited businesses. 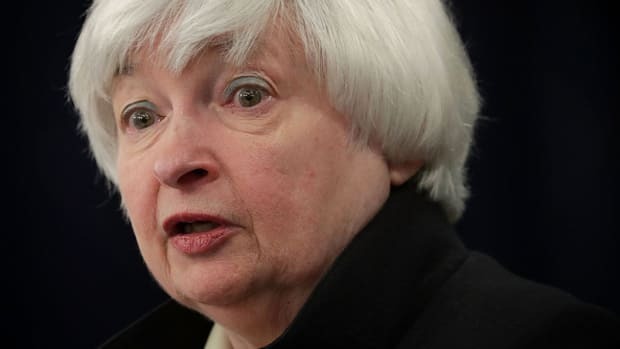 The shrinking unnerved employees, who watched the chiefs of two big banks lose their jobs and others contend with a drop in deal making and stock trading, stiffer regulations, trading losses, rating downgrades and scandals involving interest-rate manipulation and money laundering. “There’s always grumbling on Wall Street, which is pathetic given how overpaid we all are, but there is a level of angst this year that is just unprecedented,” Gordon Dean, who left a 26-year career at Morgan Stanley (MS) to co-found a San Francisco boutique advisory firm this year, said in a telephone interview. “It’s just a profound sadness and dissatisfaction.” Greek Bond Bet Pays Off for Hedge Fund (FT) One of the world's most prominent hedge funds is sitting on a $500 million profit after making a bet that Greece would not be forced to leave the euro zone, bucking the trend in a difficult year for the industry. Third Point, headed by the billionaire US investor Dan Loeb, tendered the majority of a $1 billion position in Greek government bonds, built up only months earlier, as part of a landmark debt buyback deal by Athens on Monday, according to people familiar with the firm. The windfall marks out the New York-based firm as one of the few hedge fund managers to have profited from the eurozone crisis. Standard and Poor's, the rating agency, raised its assessment of Greece's sovereign debt by several notches on Tuesday, citing the euro zone's"strong determination" to keep the country inside the common currency area. Fitch Warns US Could Lose AAA If 'Fiscal Cliff' Hits (Reuters) "Failure to avoid the fiscal cliff.. would exacerbate rather than diminish the uncertainty over fiscal policy, and tip the US into an avoidable and unnecessary recession," Fitch said in its 2013 global outlook published on Wednesday. "That could erode medium-term growth potential and financial stability. In such a scenario, there would be an increased likelihood that the U.S. would lose its AAA status." Science explains Rudolph's red reindeer nose (CNET) A collection of Dutch scientists contributed to a paper titled "Microcirculatory investigations of nasal mucosa in reindeer Rangifer tarandus (Mammalia, Artiodactyla, Cervidae): Rudolph's nose was overheated." According to the paper, "The exceptional physical burden of flying with a sleigh with Santa Claus as a heavy load could have caused cerebral and bodily hyperthermia, resulting in an overworked nasal cooling mechanism that resembles an overheated cooling radiator in a car: Rudolph suffered from hyperemia of the nasal mucosa (a red nose) under more extreme heat loads during flight with a sleigh." Of course, scientists don't like to put all their scientific eggs into just one basket of science. The paper's authors acknowledge other theories for the red nose, including the common cold, alcoholic intoxication, or a parasitic infection of the nostrils. GM To Buy Back Stock From Treasury (WSJ) GM said it will purchase 200 million shares of stock held by the U.S. Treasury Department in the first step of the government's eventual exit from the auto maker within the next 12 to 15 months. The auto maker will pay $5.5 billion for the shares in a deal that is expected to close by the end of the year. The repurchase price of $27.50 a share represents a 7.9% premium over the closing price on Dec. 18. Berlusconi Says Italy May Be Forced to Leave the Euro Zone (Reuters) "If Germany doesn't accept that the ECB must be a real central bank, if interest rates don't come down, we will be forced to leave the euro and return to our own currency in order to be competitive," Berlusconi said in comments reported by Italian news agencies Ansa and Agi. Knight, Getco Confirm Merger (WSJ) The $1.8 billion deal for Knight, which values the firm at $1.4 billion plus $400 million in debt held by Getco, will create a trading powerhouse ranking as one of the largest players on U.S. exchanges and the main trading partner of online brokerage firms that service everyday investors. Porsche Executives Charged Over VW Bid (WSJ) Prosecutors have charged the former top executives of Porsche Automobil Holding SE with allegedly manipulating financial markets during the company's attempt to take over Volkswagen AG in 2008, lawyers representing the executives said Wednesday. A court in Stuttgart must now decide whether to open criminal proceedings against Porsche's former chief executive Wendelin Wiedeking and former finance chief Holger Härter, who are suspected of misleading investors when they denied trying to take over VW in 2008. Market manipulation in Germany can be punished with up to five years' imprisonment. From early March to October of 2008, Porsche issued at least five statements denying it was trying to raise its stake in Volkswagen to 75%, but the prosecutors allege that Messrs. Wiedeking and Härter had already decided to try to raise the stake and were preparing for the move by purchasing buy options on ordinary and preference shares of Volkswagen. The denials induced investors to sell or make bets the shares would fall by so-called short selling, the prosecutors said, which benefited Porsche by lowering the share price ahead of the planned takeover. Spanx Bandit On The Loose After JCPenney Heist (TSG) An unknown thief (or thieves) stole a whopping $4182 worth of the popular body shapers from a JCPenney in Vero Beach, according to an Indian River County Sheriff’s Office report. The Spanx theft was reported Friday afternoon after a JCPenney employee noticed “the empty rack in the women’s undergarment section.” The worker noted that the Spanx stock had been there the prior evening. A subsequent search of the store revealed that about 100 Spanx “were taken along with their plastic hangers.” The purloined undergarments--tan and black tops and bottoms--were from Spanx’s Assets Red Hot Label line, police reported. A JCPenney store manager gave cops an itemized list of the boosted body shapers, but it appears the Spanx Bandit will escape unscathed. Due to a lack of witnesses, evidence, or store surveillance video, no further investigative activity could be undertaken by a sheriff’s deputy. Barclays Cautious Despite Investment Bank Gains (WSJ) In the first quarter of 2012 Barclays said total revenue fell 25% to £5.52 billion ($8.92 billion) from £7.34 billion a year before. The group recorded a net loss of £337 million for the quarter compared with net profit of £1.24 billion a year earlier. Chief Executive Bob Diamond said the business environment picked up in the second half of last year, but "frankly it remains quite challenging." Mr. Diamond warned that economic conditions across Europe and the U.K. had deteriorated since January, as the sugar rush caused by cheap loans dished out by the European Central Bank began to fade. "It was not a robust first quarter; it was only robust compared to the third and fourth quarter," Mr. Diamond said. "There is still slow economic growth around the world." Deutsche Bank Profit Drops On Debt Crisis (BW) The slowdown in April hasn’t been “significant” and Deutsche Bank needs to assess the effect of the Easter holidays on revenue, Chief Financial Officer Stefan Krause said today on a conference call. Pretax profit at Deutsche Bank’s investment banking unit fell to 1.72 billion euros in the first quarter from 2.29 billion euros a year earlier and compares with a 422 million loss in the fourth quarter. That beat the 1.64 billion-euro average estimate of eight analysts. More Americans Than Projected Filed Jobless Claims Last Week (Bloomberg) Jobless claims fell by 1,000 to 388,000 in the week ended April 21 from a revised 389,000 the prior period that was the highest since early January, Labor Department figures showed today in Washington. The median forecast of 48 economists surveyed by Bloomberg News called for a drop to 375,000. SEC Faces Questions About Tipster Policy (WSJ) "Whistleblowers are essential to root out fraud and malfeasance," the senator wrote in a letter sent Wednesday afternoon to SEC Chairman Mary Schapiro and reviewed by the Journal. "I am concerned that the SEC may not be properly protecting the identity of whistleblowers and others who come to the SEC with information on securities law violations." La Guardia flights delayed when dog flees Delta jet and sprints to runway (NYP) A puppy took flight at La Guardia Airport yesterday, speeding down a busy runway and dodging planes and a posse of desperate pursuers. Taxiing airliners ground to a screeching halt, giving their passengers front-row views of the spectacle that at one point saw a frustrated worker get down on his hands and knees in an unsuccessful attempt to convince the 14-month-old Rhodesian ridgeback, named Byrdie, to surrender. In a final fit of desperation, Port Authority cops pulled the dog’s owner, Austin Varner, off her Delta flight and drove her out to the tarmac. Byrdie broke free while being loaded on the plane in a kennel at around 10:20 a.m. — and the 70-pound pooch made a beeline down the tarmac. An air-traffic controller barked into his radio, “We got a dog running like crazy down there.” Former Morgan Stanley Exec Pleads Guilty In Anti-Bribery Case (Reuters) A former Morgan Stanley executive pleaded guilty to conspiring to evade internal controls required by a US anti-bribery law, in a case that underlines the fall of a once high-flying dealmaker for the firm in China. Garth Peterson, who was a managing director in Morgan Stanley’s real estate investment and fund advisory business, also settled yesterday related charges with securities regulators, and agreed to roughly $3.7 million in sanctions and a permanent bar from the industry. Peterson secretly arranged to have millions paid to himself and a Chinese official and disguised the payments as finder’s fees charged to Morgan Stanley, regulators said. Geithner Warns Of Economic Risks (Bloomberg) Treasury Secretary Tim Geithner is warning that the US economy faces risks from the “severe and protracted crisis” in Europe while the feud with Iran has put upward pressure on oil prices. He added the economy will encounter a “fiscal cliff” at the end of the year when large spending cuts and tax increases are set to take effect. “That cliff presents a risk, but it also provides an opportunity for bipartisan agreement Bernanke Says Prepared To Do More As Policy Unchanged (Bloomberg) “We remain prepared to do more as needed to make sure that this recovery continues and that inflation stays close to target,” he said at a press conference today following a meeting of the Federal Open Market Committee in Washington. Additional bond-buying is still “very much on the table.” Bull Market For Chicken Feed (WSJ) In case you were wondering: "Futures for soybean meal, the protein in feed that makes broilers plump and juicy, are up 34% so far this year. Prices for the yellow powder, a soybean byproduct that resembles wheat germ, are outpacing the likes of crude oil and gold." In Mayfair, outrage over tire-slashing arrest (Philly) It was a little more than two months ago when a 44-year-old butcher named David Toledo had a message for the vandal who was slashing car tires up and down his block of Aldine Street and on nearby streets in his Holmesburg neighborhood. “I feel like butchering the one who is doing this,” Toledo said shortly after reporting to police that all four tires on his Jeep Cherokee had been slashed, just one week after the same thing had happened to his wife’s car. Wednesday night, Toledo’s outraged neighbors had a message for him: Back at ya, pal. The news that police had arrested Toledo in connection with the wave of tire slashings that had plagued parts of the Northeast angered and infuriated his neighbors, as they spilled out onto front steps on a bright spring evening to gossip and to vent. Adding insult to the injured tires is the fact that Toledo had been arguably the most vocal neighbor in speaking out against the vandalism and in urging fellow residents to organize a community watch group to nab the slasher.